This newest addition to Metro’s proven DataVac® line has been completely redesigned from the ground-up. 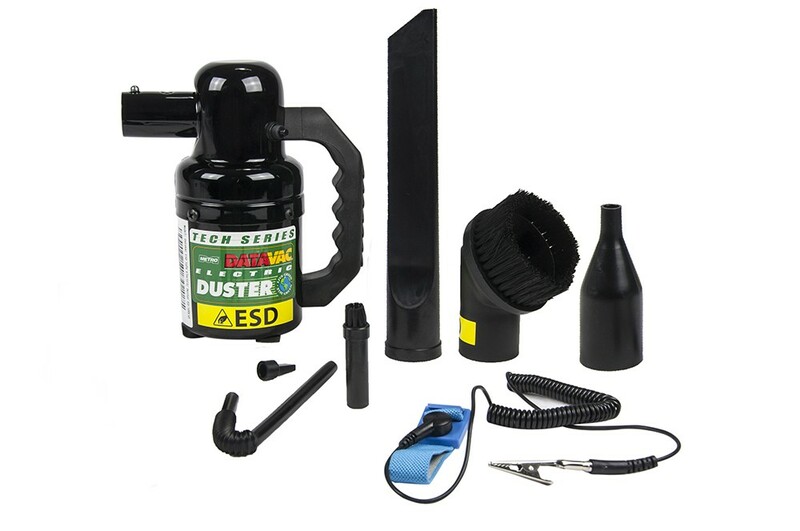 It is a complete anti-static dusting system developed specifically to keep expensive electronic office equipment thoroughly clean and operating at peak efficiency. It is much more compact and comfortable to use than previous models and features a new, almost unbelievably powerful 500-Watt motor. The Anti-Static Wrist Strap prevents the buildup of static electricity that can discharge and seriously damage sensitive equipment. The .75 peak HP motor generates plenty of power to reach down deep and clean out even the most stubborn dust, dirt, and debris. 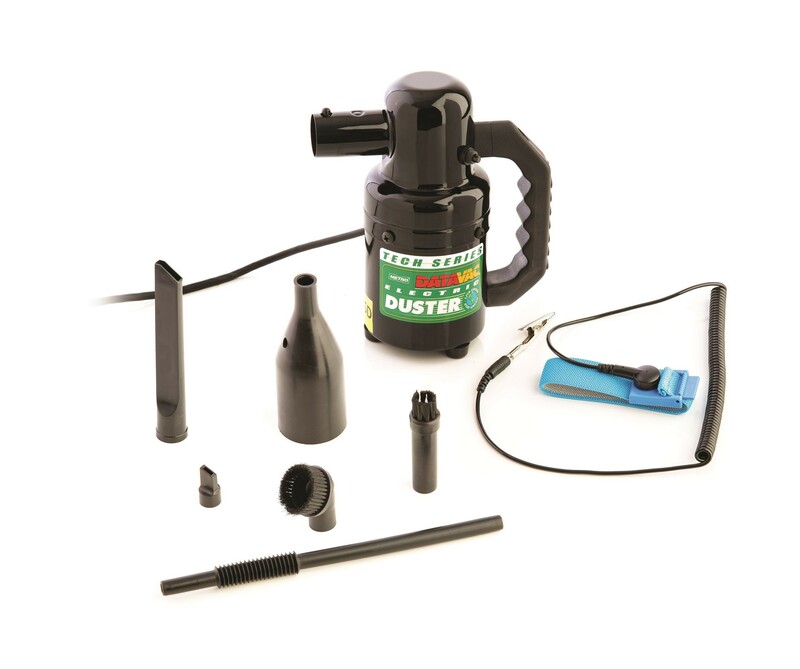 The complete range of Static-Dissipating Attachments handle every conceivable office and IT equipment cleaning application. The ED-500ESD has a rugged, heavy duty All Steel Body designed to withstand many years of tough professional use. 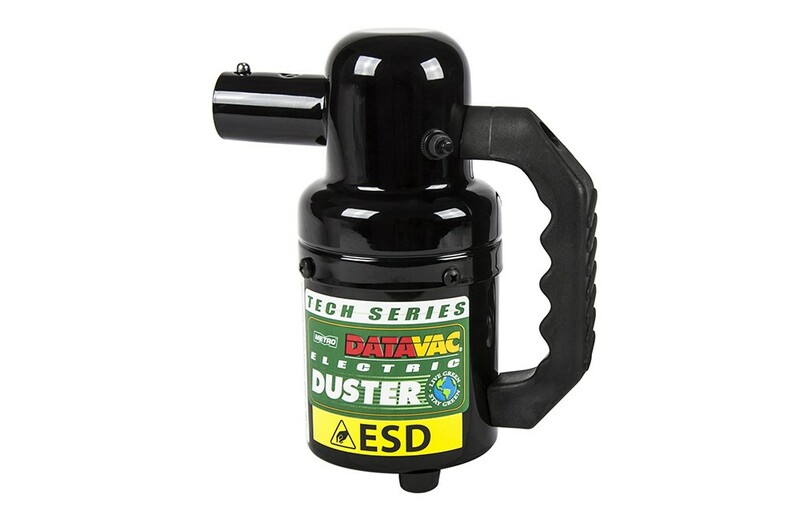 The new DataVac® ESD Safe Electric Duster® is positioned as a “greener”, more effective and cost-efficient alternative to the controversial “canned air” products currently dominating the category. A unique anti-static wrist strap grounds you while using the vac, and the 3-6' stretch hose and attachments also have anti-static features to prevent damaging sensitive electronic equipment. All American Quality and Service! Made in the USA and backed by a family owned American company in business since 1939! 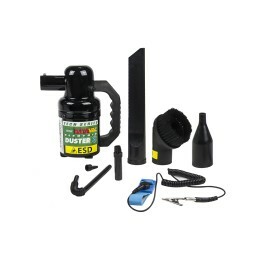 Available in 220 volt model.